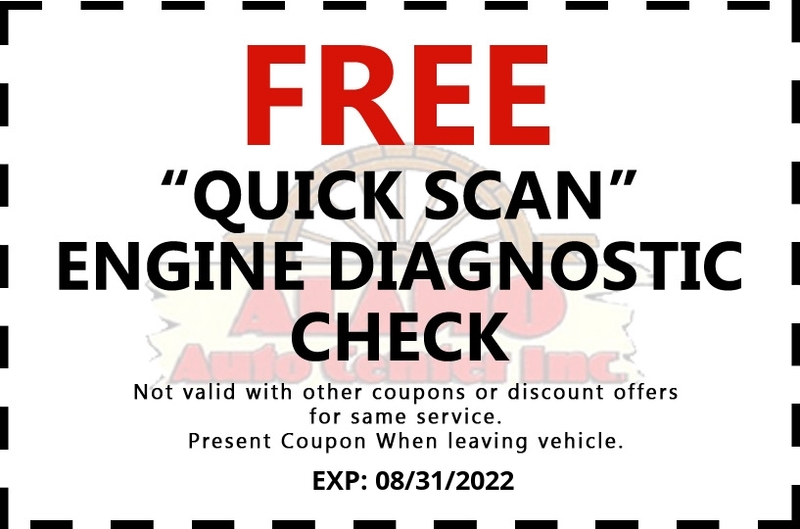 Prepare your vehicle for the colder months ahead – Alamo Auto Center Inc. While Fall and Winter temperatures here in the Alamogordo area are more mild than our friends to the north, we still need to be prepared. Here’s a quick list of items you should include in that box: a flashlight, road flares, a first-aid kit, a few blankets, a change of warm clothes for the driver, a few extra pairs of gloves, a radio, a bag of sand for traction, an ice scraper and some snacks. Check your engine coolant and antifreeze levels. Antifreeze is the special substance that keeps your engine from freezing. Without it, your engine could freeze, leaving you in a real dangerous situation. Good tires are the key to staying on the road and keeping safe when the weather is questionable and snow and ice are falling from the sky. Check your tire pressure with a simple gauge. Follow your manual’s recommendations for pressure level. You should also make sure your tires have appropriate amounts of tread on them. The simple test is the “Lincoln test” – just insert a penny into your tire’s tread with the top of Lincoln’s head pointing inward toward the tire. If you can see all of Lincoln’s head, you need to replace the tire before winter weather begins. If you have any questions or concerns, come on down and see us at Alamo Auto Center. We are always happy to help!